The perfect dish for a sweet potato breakfast should be creamy, guilt-free and of course delicious! 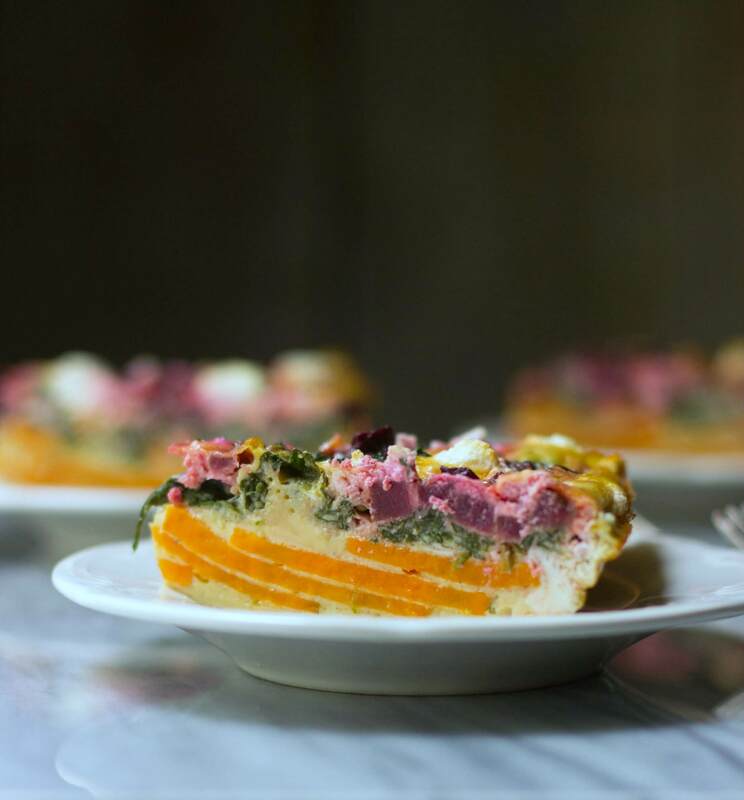 This beet and goat cheese sweet potato cheese is just that, and is just oh-so-beautiful, too! Preheat the oven to 350 degrees. Coat a 9” pie plate or small rectangular baking dish with cooking spray. Set aside. In a medium bowl, toss together sliced sweet potatoes, 2 teaspoon olive oil and ¼ teaspoon salt until sweet potatoes are coated. Line the sweet potatoes in the pie plate or baking dish, overlapping the slices so there are no gaps. Bake 25-30 minutes. Coat again with cooking spray once removed from the oven (so the egg mixture doesn’t stick). Heat the remaining olive oil in a skillet and saute spinach 2-3 minutes, until wilted. In the medium bowl, whisk together spinach, eggs, balsamic vinegar, remaining salt and black pepper until well combined. Pour into the pie plate or baking dish with the sweet potato crust. Sprinkle beets and crumbled goat cheese into the egg mixture. Bake 30-40 minutes, until set. Allow to slightly cool, then slice and serve.